Over the the weekend, our development team launched two key features that should make your lives—our teachers and administrators—easier and more insightful. 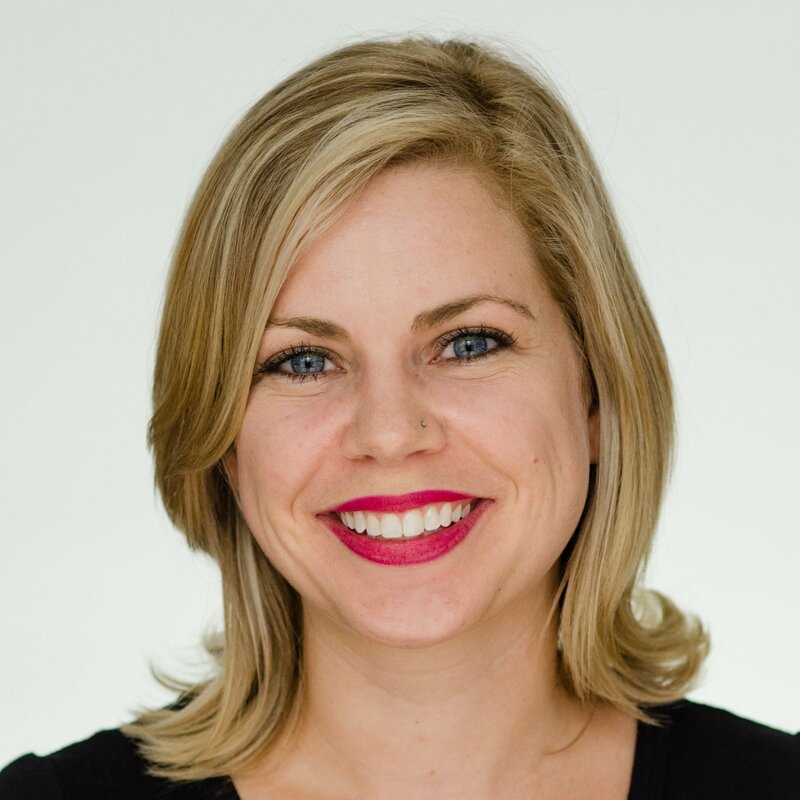 Here's a rundown of these changes and where to find them in the product. And as always, email us at support@thinkcerca.com with any questions or concerns. 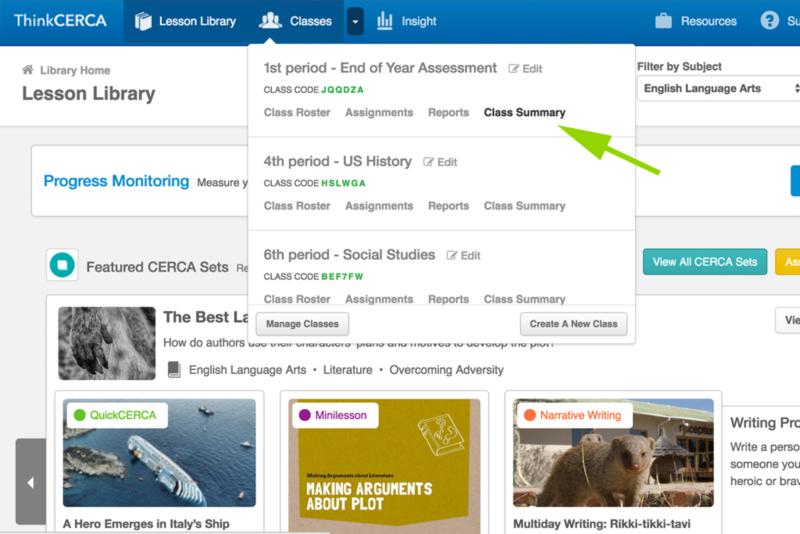 Gone are the days of manually uploading ThinkCERCA assignment data into your grade book. Our Class Summary pages now include a way to download raw assignment data for importing automatically into your grade book. Additionally, teachers can play with this data in a number of ways using Excel to spot trends pertaining to students' grades and completion history. First, select the Classes dropdown from the top navigation bar, find the class you are looking for, and select the Class Summary link. 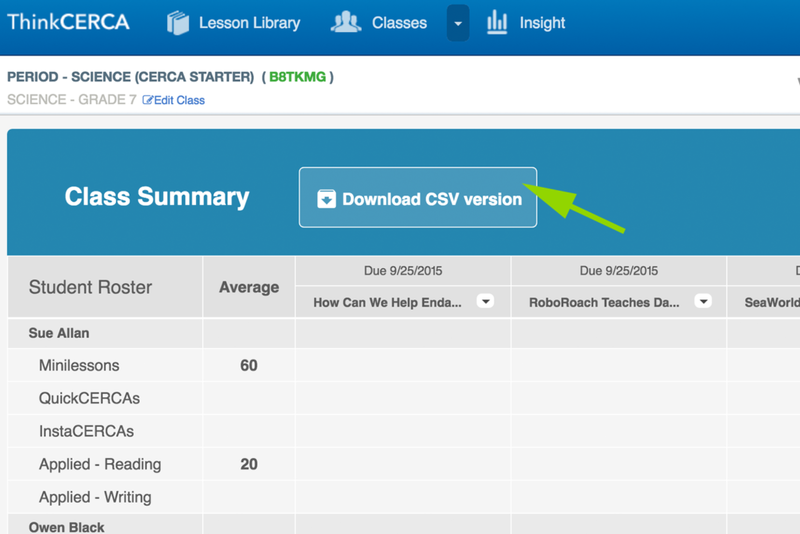 At the top of the page, select the "Download CSV version" to download ThinkCERCA assignment data for each student. Get more granular information on how students are performing on standards with the latest addition to our Performance by Class Insight report. 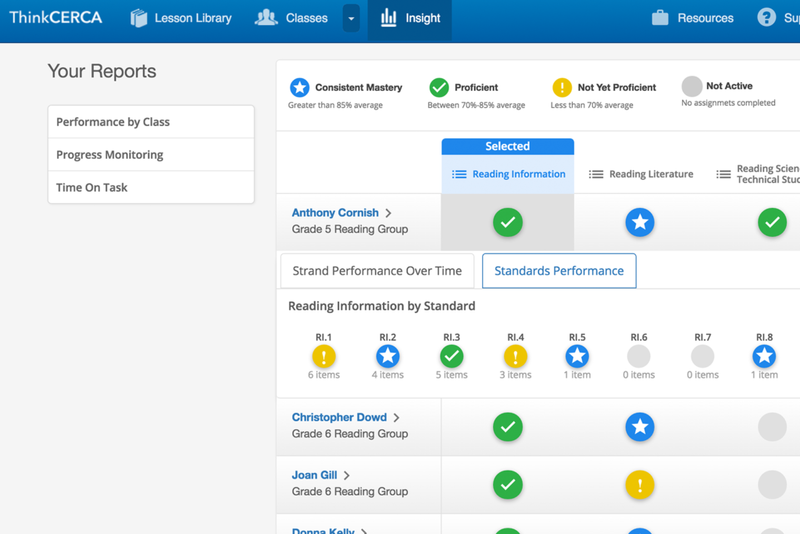 In addition to performance by strand data, which we launched a few weeks ago, teachers and administrators can access data on the specific standards under each strand. With this data, teachers can use student work as a formative assessment to identify next steps. For example, if you see a student is struggling with Reading Informational Text, you can drill down further to see which specific standard or standards they need to work on (i.e. RI.1 through RI.10) and assign additional ThinkCERCA lessons accordingly.